Indian rupee fall down to a low record against US dollars and Saudi Riyals after three years. 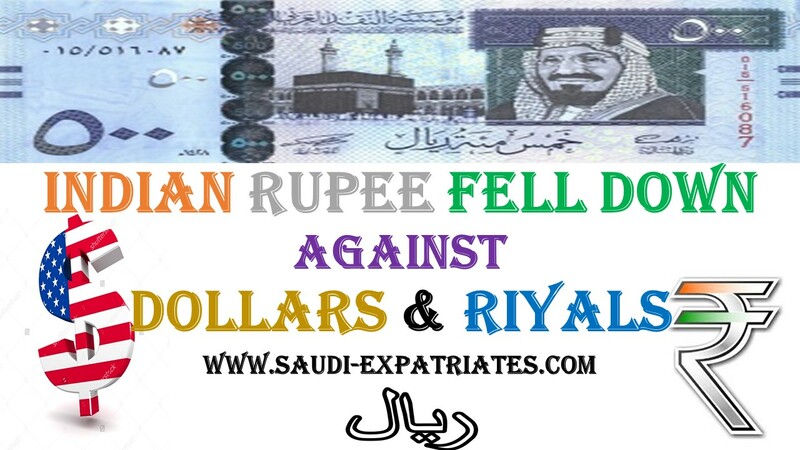 Currently Indian rupee against dollars is 68.85 and 18.30 against Saudi Riyals. After the heavy word 'demonetization' from government of India, Indian money started falling down, Some experts are expecting it to reach 70 and 72 against dollars in the coming months. - Indian expats living abroad are sending heavy remittances more than their salaries from their savings as they seen this after 3 years, Earlier in August 2013, the rate was same as of today. - Few Indian expats are still waiting to remit their money to home country as they are expecting rupee may fall more down. Few are dilemma whether they have to wait to go more down or send now. - As the new year and Christmas is ahead, Indians around the world sending more money to their families. Remittance centers and exchange centers abroad are seen in rush more than normal time. - All the money savers in Saudi Arabia are enjoying the current exchange rate as they are getting 18.30 Indian rupees now against the Saudi Riyals and 68.70 rupees against US dollars.